UCI president David Lappartient continues to insist that Chris Froome sit out from competitions until his salbutamol case is resolved. 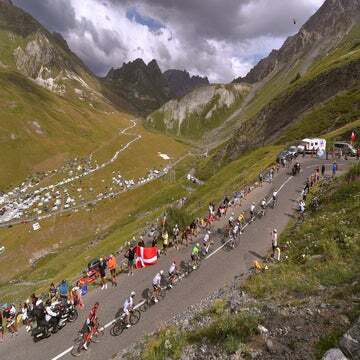 FLORENCE, Italy (VN) — Cycling’s governing president David Lappartient would sleep better at night if Chris Froome suspended himself from the 2018 Tour de France and other competitions. Froome is still celebrating his Giro d’Italia victory from last month as he trains for the Tour, which starts July 7 in Vendée. He has a right to compete even if a process is going forward due to his ongoing anti-doing case stemming from the 2017 Vuelta a España. 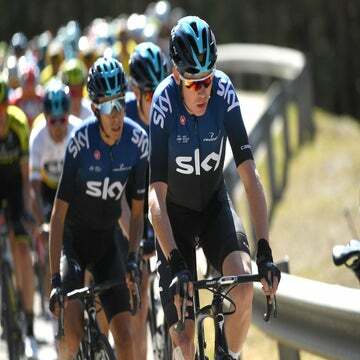 The British grand tour star tested over the allowed limit for salbutamol after stage 18 of the Spanish grand tour. “You know, when I was elected president of the UCI, an hour later I was informed of Froome’s test. Everyone has trouble understanding how after nine months it still has not advanced,” Lappartient told Le Parisien. “But this issue is incredibly complex, more so than any one we’ve ever had in cycling. Rules for specified substances differ from others that draw immediate bans. The governing body’s own rules allow for cyclists to race in such a case. Asthma drug salbutamol is allowed up to 1,000 nanograms per milliliter (ng/ml). Froome tested at 2,000 ng/ml. A study reported in The Times last month showed that his result would read 1,429 ng/ml if recalibrated, and that the “actionable” threshold is 1,200 ng/ml despite the 1,000 ng/ml allowance. VeloNews understands from people close to the case that if Froome serves a suspension, it would not be retroactive, which would cause him to lose results. At most, he could lose his 2017 Vuelta title and perhaps the bronze medal he won in the time trial at the UCI road worlds 10 days after the Vuelta ended. Plenty of time remains for the court of public opinion to debate. The case should linger deep into the 2018 season. “Yes, but this case is much more complex than others. And perhaps he has more means to demonstrate this complexity precisely, where others might have given up for not being able to carry out more cumbersome procedures. The level of experts on both sides is growing, and rightly so with around 1,500 pages of scientific reports to comb through. Lappartient, as much as he wishes the case could be solved in a snap, admitted he “must respect Chris Froome’s rights” and also give the UCI’s experts time to prepare. “It’s a little complicated for our sport, it puts him in difficultly [whatever the ruling],” Lappartient continued. “And then, for the general public, when you throw a name out there, especially since there have sometimes been rumors about Team Sky, then they automatically think that an abnormal result is because he doped.